Sometimes the best places are discovered in moments when you decide to throw caution to the wind and just go with the flow of life. During a recent road trip to Treasure Beach with my friend we discovered this beautiful Moroccan inspired villa, Katamah . We arrived at the property at night without a reservation and just solely on the recommendation of a waiter at a nearby restaurant. The modest wooden gate gave little indication of the beauty that lied beyond . At first we were a bit skeptical , thinking we’d only view the rooms and then leave but we were sold , the minute we entered the room. 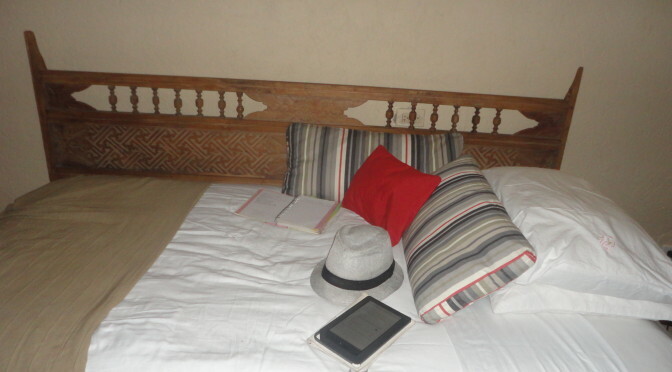 We stayed in the Laila , which was very spacious, airy and inviting. 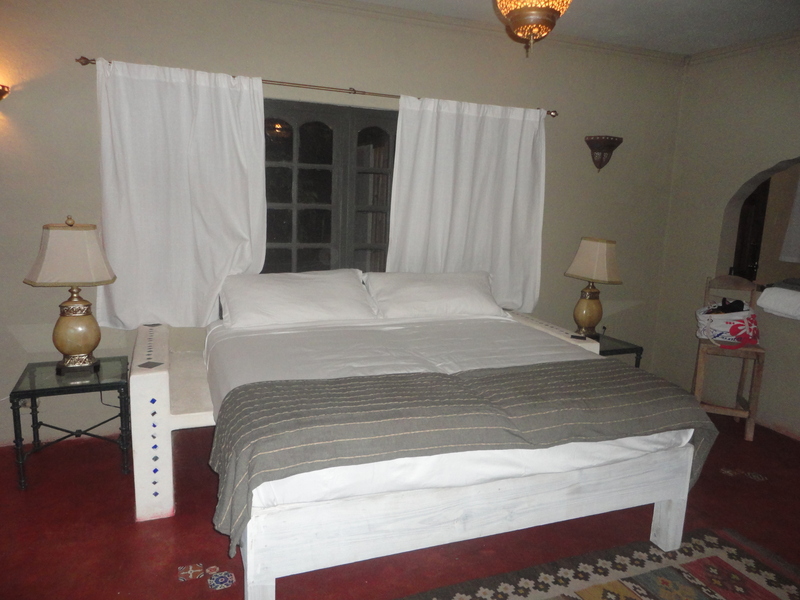 The room has a King bed as well as a day bed in an adjoining room. 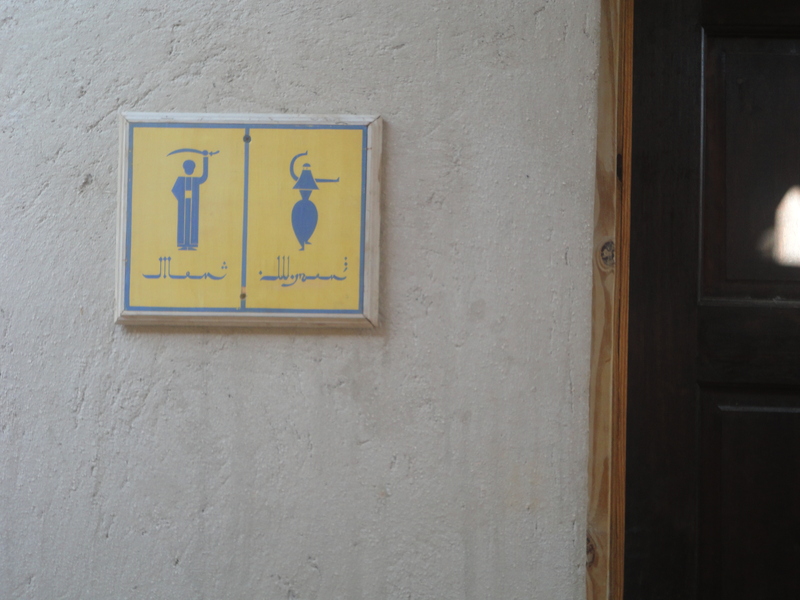 The bathroom is in a separate building , connected by a small walkway. 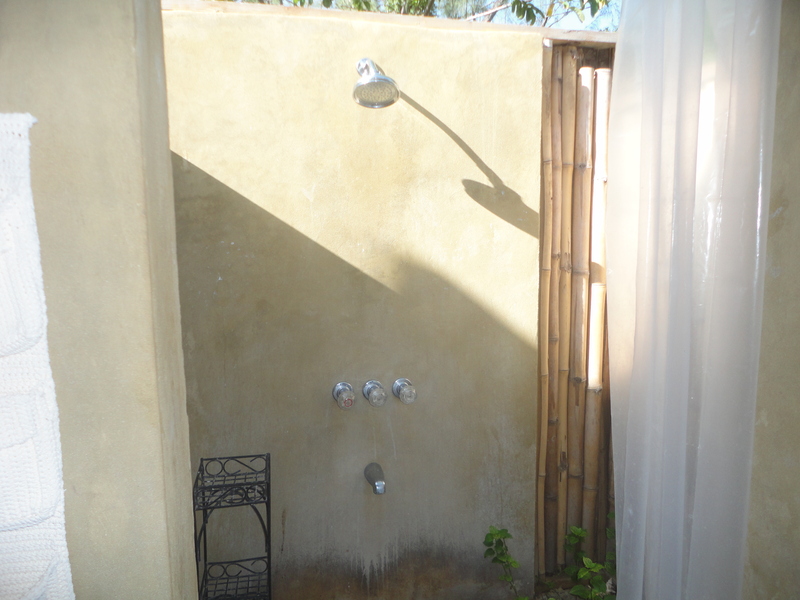 What I particularly loved about the bathroom was the outdoor bamboo shower. 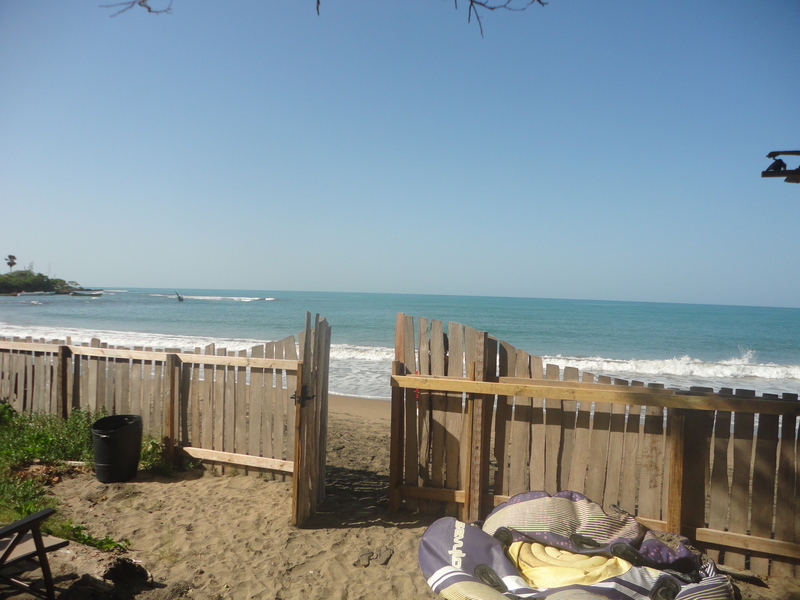 My absolute favorite thing about Katamah was falling asleep to the sound of the waves, as it is right on the beach. I slept like a baby. If you visit the South Coast of Jamaica, consider planning a stay there. 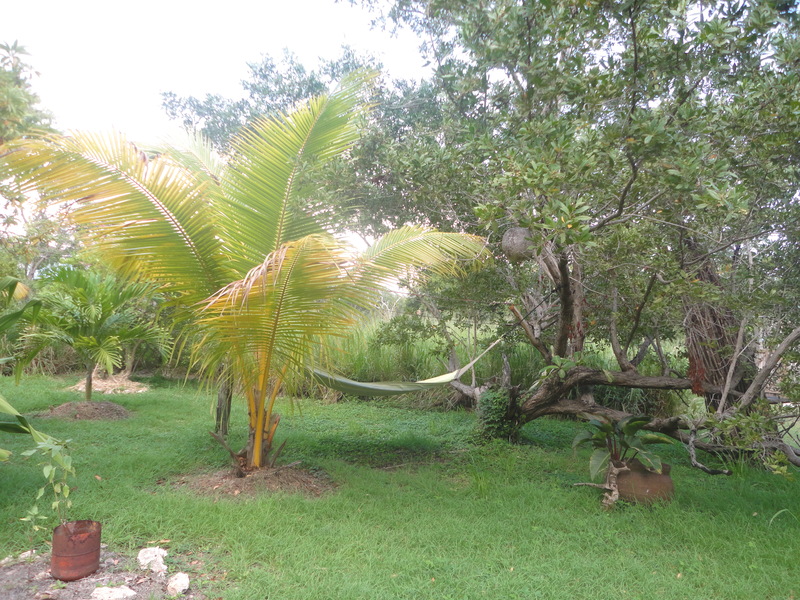 The owners were very friendly and are able to organize various tours and day trips like to Lover’s Leap , Pelican Bar and YS Falls as well as other activities. Check out their website or link them on Facebook. Happy Travels! Wow, yet another fab place to add to my list. Moroccan and Jamaican, what an interesting combo! Love this post! What’s your twitter handle?? My wife and I stayed here for our 20th anniversary about a year and half ago. It was the most pleasant time I’ve had in my life. Sitting by the water for 8 plus hours was so calming to my soul the day flew by so quick. The host/hostess are so caring and loving that they felt like my family members. The feel is so organic and natural I will be going back soon.